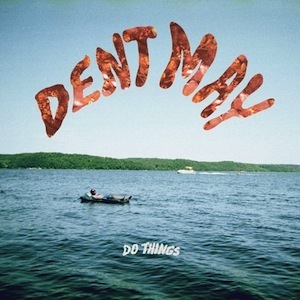 Dent May has laid his magnificent ukulele to rest and instead taken up with a synthesizer on his newest full length, Do Things. Although a synthesizer’s no theremin, Dent May is completely channeling the Beach Boys on this sophomoric effort. From May’s swinging, layered and overextend singing to his eccentric hints of psychedelic instrumentation, Do Things is a Mississippi boy’s version of Pet Sounds. Despite that, it’s still easy to make a song for song comparison: for Wilson’s “Sloop John B,” May gives us “Rent Money”; for Wilson’s “I Just Wasn’t Made For These Times” we get May’s titular track “Do Things,” yet the album transcends the ’60s comparisons and can stand as a 2012 creation thanks to his ironic album art of a carefree young man lying on floatie in a lake just above the words “Do Things” — May makes it obvious that his music was crafted with millennial twenty-somethings in mind.